For many years now, fans have thought that Bruce Lee’s quarter European ancestry had been German through his maternal grandfather. Not only does the existing genealogical record yield zero evidence for this claim, but testimony by his mother contained in family immigration documents within the U.S. National Archives clearly states otherwise. Bruce’s mixed heritage was a notable factor in his life, and likely played a key role in shaping his progressive worldview on race. During his youth, Bruce faced incidents of derision and exclusion on account of not being 100 percent Chinese. 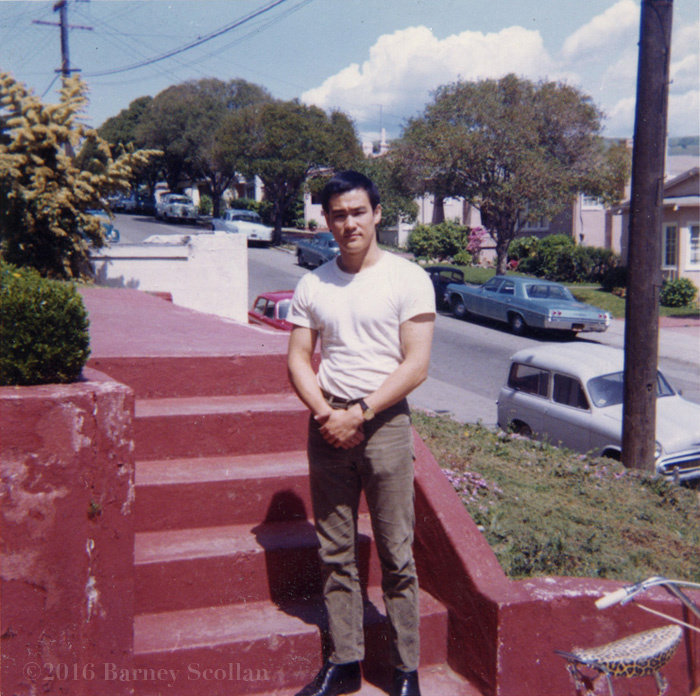 As a teen, he was banned from formal instruction with Hong Kong Wing Chun kung fu master Ip Man after classmates cited Bruce’s Eurasian ancestry as being outside the bounds of acceptable Chinese martial arts custom. However, the exact particulars of his racial makeup have remained ambiguous in the 40 years since his death. Part of this uncertainty lies in the elaborate—and at times labyrinth-like—family tree on his mother’s side. It is also likely due in part to Bruce’s lack of a proper biographer over the years, unusual for someone of his immense caliber of global fame. Of the very many books that have been written on him, possibly the most commonly touted biography is Bruce Lee: Fighting Spirit by Bruce Thomas (Blue Snake Books 1994). Thomas (who, incidentally, is perhaps better known as Elvis Costello’s bass player) states that Bruce’s mom “was the daughter of a Chinese mother and a German father.” Both relatives and researchers that are close to Bruce’s maternal Hong Kong family know that this is wrong, but still this idea persists. In recent years, Bruce’s immediate family have stated his mother’s European ancestry more generally as “Caucasian,”—such as in the 2012 documentary I Am Bruce Lee—which is probably the safest and most accurate way to characterize it in light of the uncertainty that exists. Even still, there is a lot that can be gleaned from the information that is available, and while it is far from conclusive, the best existing evidence does indeed point towards an English ancestry. If you would like to get a sense for the maternal side of Bruce Lee’s family, a great place to start is with a book by Bruce’s distant cousin Eric Peter Ho, titled Tracing My Children’s Lineage (University of Hong Kong, 2010). While many people take on a family tree projects, few of them are likely to produce a nearly 400-page book published by a university press. Through his mother Grace, Bruce was a descendent of the large and ethnically diverse Ho-Tung Bosman clan, a highly influential and prestigious Hong Kong family. In this sense, Bruce’s maternal family falls into a Kennedy or Rockefeller kind of territory. This is evident in not only the impressive power player biographies of the family members that are profiled in Eric’s book, but also in just how little attention is given to Bruce. Despite the extensive and detail-oriented research that is presented in this volume, the family’s relationship to Bruce Lee—a global icon who has statues in his image on four different continents—is mentioned only once, as a sort of bemused side note. In 2010, Bruce Lee’s distant cousin Eric Peter Ho published the book Tracing My Children’s Lineage which analyzed the Ho-Tung Bosman clan’s family tree in great detail. The book’s back cover image, right, shows Bruce Lee’s great uncle Robert Ho Tung walking with Queen Mary at the British Empire Exhibition in 1924. 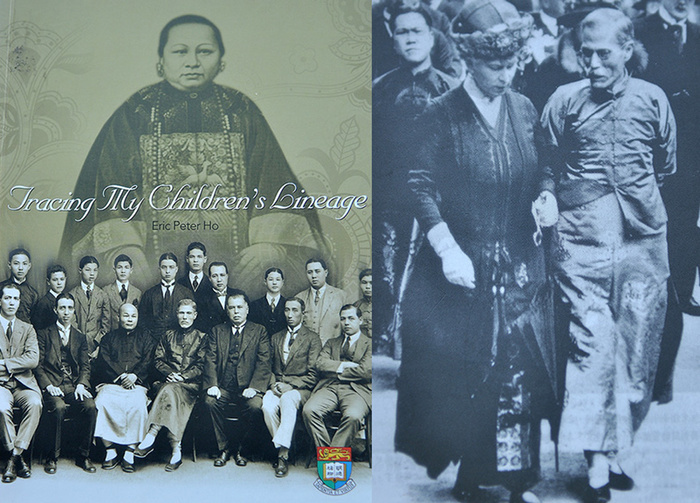 Turn the book over and the back cover has an image of Sir Robert Ho Tung—Bruce’s great uncle—walking with (and seemingly giving counsel to) Mary, the Queen of England, at the British Empire Exhibition in 1924. On one hand, Robert was a highly successful businessman and noted philanthropist, someone akin to Hong Kong’s version of Andrew Carnegie. At 35, he was the richest man in Hong Kong, and would be successful in a variety of lucrative ventures throughout his lifetime. However, Robert was more than just a savvy businessman, but also a notable player in regional politics, such as his funding of Sun Yat-sen’s revolution to overthrow the last Imperial dynasty in China. Years later, as Japanese aggression loomed in the run-up to World War II, Robert traveled throughout China in an effort to maintain the fledgling Chinese Republic. Not only did he meet with Sun Yat-sen and Chiang Kai Shek, but he traveled to distant areas to meet with regional warlords and advocate (in vain) for unity. Robert’s parents were Charles Maurice Bosman, a Dutch entrepreneur and Lady Tze, a Chinese woman who had literally been “sold down the river” in Shanghai as a teenage girl. (Her family was in the silk business and had used her as capital to solve debt problems after a blight killed their mulberry trees.) If Bruce Lee had been the grandson of Robert, there would be little speculation of his ancestry. But Bruce’s grandfather—Robert’s brother Ho Kom-tong—was the curveball within this particular generation of the Ho-Tung Bosman Clan. 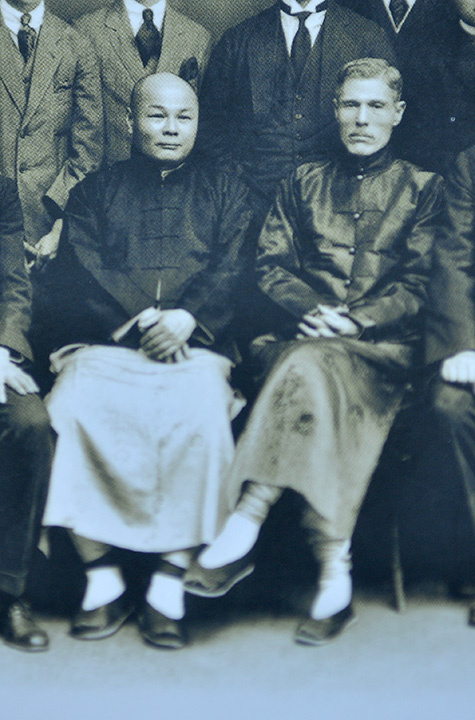 Bruce Lee’s maternal grandfather, Ho Kom-tong, left, alongside Bruce’s great uncle Robert Ho Tung. 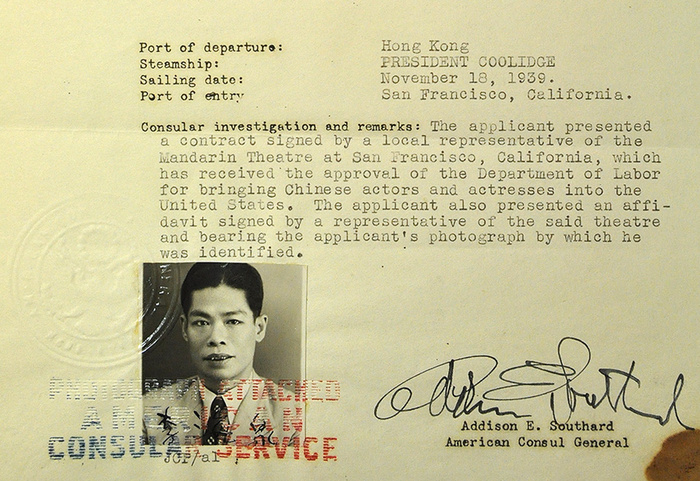 Ho Kom’s distinguished Chinese features have always caused questions about his paternity. 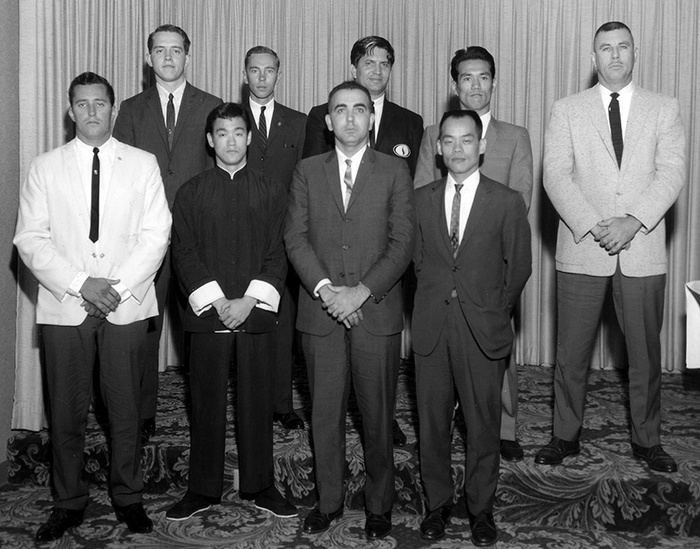 There is a telling photo of Robert and Ho Kom seated next to each other in their later years, which is fascinating for how completely different they look from one another. This has long caused speculation over Ho Kom-tong’s true paternity, and due to the corresponding dates in which Charles Bosman was away from Hong Kong around his birth, it is suspected that he was the offspring of an affair that Lady Tze had in that time period. As a result, it is widely accepted that Ho Kom-tong was 100% Chinese. In his book, Eric Peter Ho deems Bruce Lee’s mother to be “the final piece of the colorful jigsaw of Ho Kom-tong’s family,” citing her as the offspring of Ho Kom-tong’s mistress in Shanghai, believed to be a Eurasian woman named Cheung King-sin. 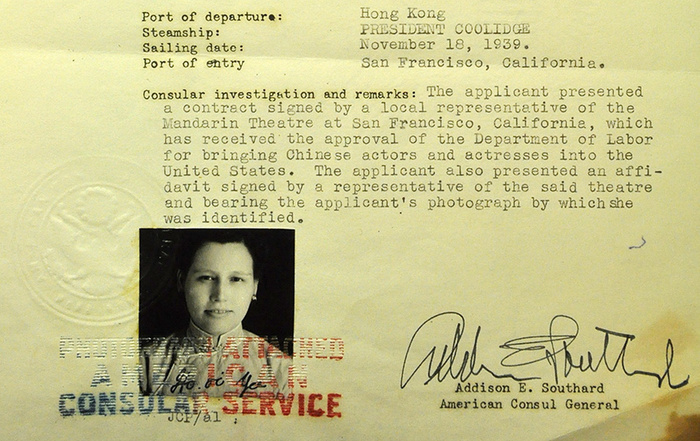 For unknown reasons, Grace was raised in Hong Kong with her aunt Clara Ho Tung (Robert’s wife). At the age of 18, Grace became smitten with Hoi Chuen from her orchestra seat at the opera, and eloped with him much to the dismay of her family. Twelve years later she was in San Francisco giving testimony to her background and preparing to bring her son, a four-month-old Bruce Lee, home to grow up in Hong Kong. There’s an additional twist to Grace’s background, which ultimately may help to clarify matters more than obscure them: she is believed to have been adopted. 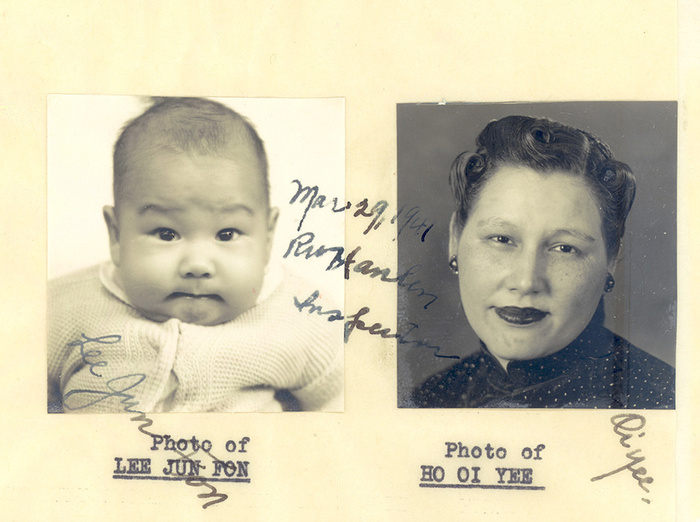 This information surfaced recently from Cheung’s grandson, and would help to explain why Grace herself also looked so different from her other siblings, as well as why she stated that her mother was full-blooded English as opposed to the Eurasian makeup of Cheung. 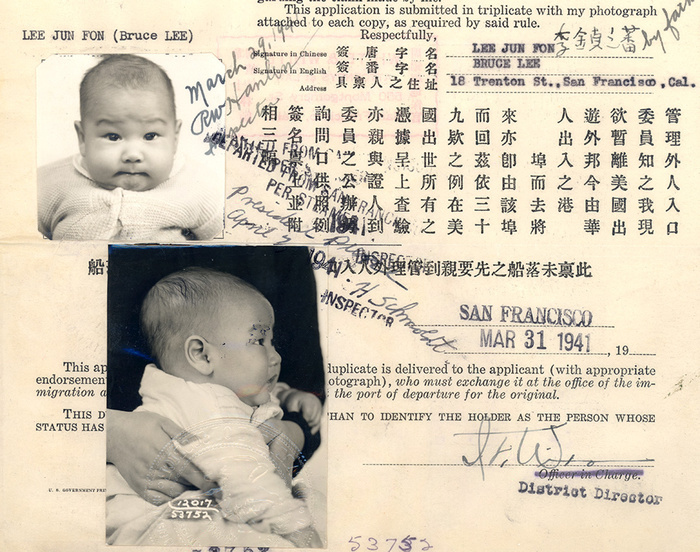 Furthermore, a close reading of Bruce’s 1941 immigration documents suggests that Grace did in fact know the identity of her real mother. When asked more questions by immigration officials about her parents, Grace states specifically that her mother had no Chinese blood and that she had passed away seven years earlier in Shanghai. In terms of both timeline and locations, this makes clear that Grace is not referring to either Cheung or her childhood caretaker Clara Ho Tung, and that the “Shanghai mistress” was most likely a full-blooded English woman. Still, there is a point of historical circumstances that needs consideration: Was Grace lying to U.S. Immigration officials in light of the looming wartime atmosphere of 1941? Even as America would not officially declare war against the Axis powers for another eight months, were tensions already high enough that Grace would be hesitant to state certain family origins, such as German? Choy raises an interesting point for consideration with this latter sentiment, citing the Immigration Department’s inclination for intentionally aiming to trip up citizenship candidates during these interviews. In this sense, it should be remembered that Grace’s testimony had been given in the company of lawyers to government officials with a reputation for pouncing on any kind of discrepancy. If Grace had been found to be misrepresenting any aspect of her background, it would have been reason to disqualify Bruce from his right to citizenship. Of course, this kind of scenario should also be considered in the opposite direction, and may actually help to explain the inaccuracy of the family’s supposed German origins. If there was a misdirection to be played out by Grace, it was probably more likely in the face of the Japanese occupation of Hong Kong as it was within the bureaucracy of the U.S. government. Hoi Chuen and Grace had arrived home during World War II amid the tumultuous atmosphere of the Pacific theater, where the Japanese invasion of mainland China in the summer of 1937 instituted a brutal campaign against the civilian population and quickly sent waves of refugees into the British colony. On December 7, 1941, Japanese forces toppled Hong Kong with little resistance during the same offensive that simultaneously launched an attack on the American fleet in Hawaii’s Pearl Harbor. The occupation that followed lasted until the summer of 1945 and involved widespread food shortages, loss of public utilities, and the general disruption of day-to-day society. The Lee family weathered this period at their home on Nathan Road in the Kowloon section of Hong Kong, with a Japanese military encampment directly across from them. Is it possible that within this tense scenario, Grace’s European origins were stated to be “German” so as to avoid any harassment from Japanese soldiers? Just as Bruce would one day empower an entire generation of people to embrace their racial origins, so too was he enabled by the example of his own family. The maternal side of his family provided him with unique role models who were wealthy, powerful and highly influential individuals of mixed-race descent. When it comes to clearing up the particulars of his European descent, hopefully one of the new Bruce Lee biographies in the works (most notably, one by American Shaolin author Matthew Polly via Penguin Books) may finally confirm the matter in conclusive terms. For now, the best evidence available unexpectedly though firmly points in the direction of Great Britain.